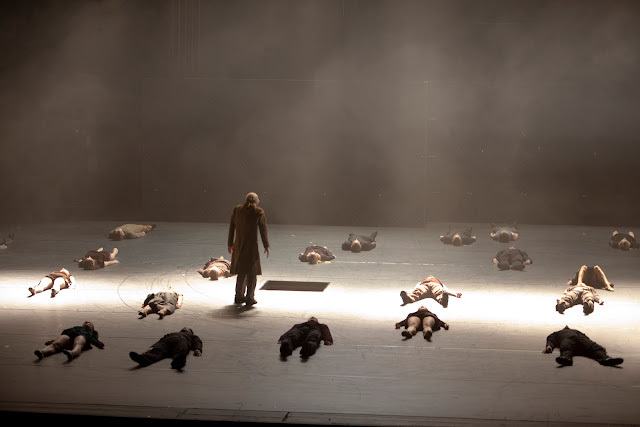 The Royal Swedish Ballet, one of Europe’s first and most revered ballet companies, returns to Segerstrom Center for the Arts June 10 – 12 with the West Coast debut of Juliet and Romeo by choreographer Mats Ek. This production provides a contemporary twist and retelling of Shakespeare's most treasured and tragic love story (Romeo and Juliet). Juliet and Romeo was created in honor of the Royal Swedish Ballet’s 240th anniversary in 2013 and garnered the 2015 Olivier Award winner for Best New Dance Production. This tour marks the company’s second visit to the Center, they last performed here in 1999. Pacific Symphony will perform, conducted by Eva Ollikainen, who conducts for the Royal Swedish Ballet and many other orchestras and opera companies in Europe. Tickets for Royal Swedish Ballet start at $29 and may be purchased online at SCFTA.org, at the Box Office at 600 Town Center Drive in Costa Mesa or by calling (714) 556-2787. For inquiries about group ticket savings for 10 or more, call the Group Services office at (714) 755-0236. Free Preview Talks by members of the Ballet will take place one hour prior to curtain. The Friday, June 10 Preview Talk will be sign-language interpreted. Artists and program are subject to change.